May 21-June 6th, 2011. Peru, on a 100 year anniversary of Machu Picchu's first publication in the National Geographic, a 10 day expedition sets out to trace the explorer Hiram Bingham's path to Inca's most sacred city. 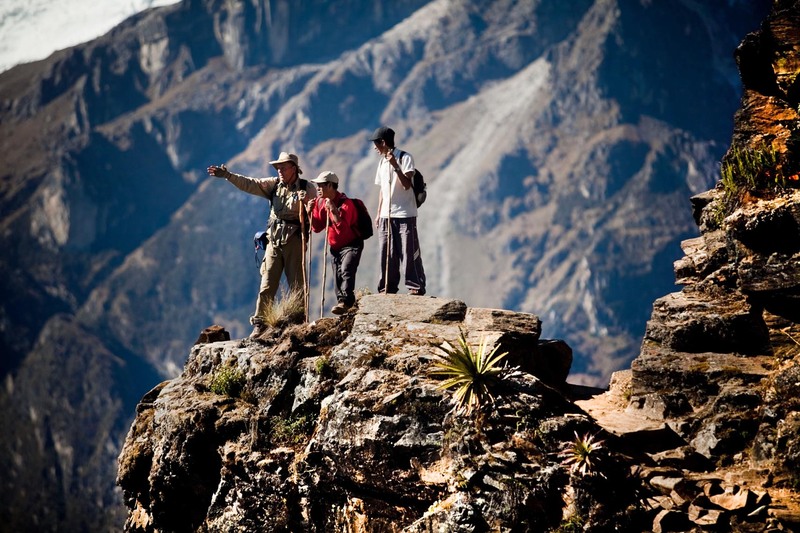 Here, John Leivers, 59, of Amazonas Explorer, a Cusco outfitter company, explaing the lay of the land to expedition's cook and his assistant, atop the 4160m Abra San Juan pass on the trail from Choquequirao to Vitcos. Piotr Redlinski for The New York Times.